Civilian rescue helicopter crews are to start training following the arrival of a new aircraft at its Scottish base. 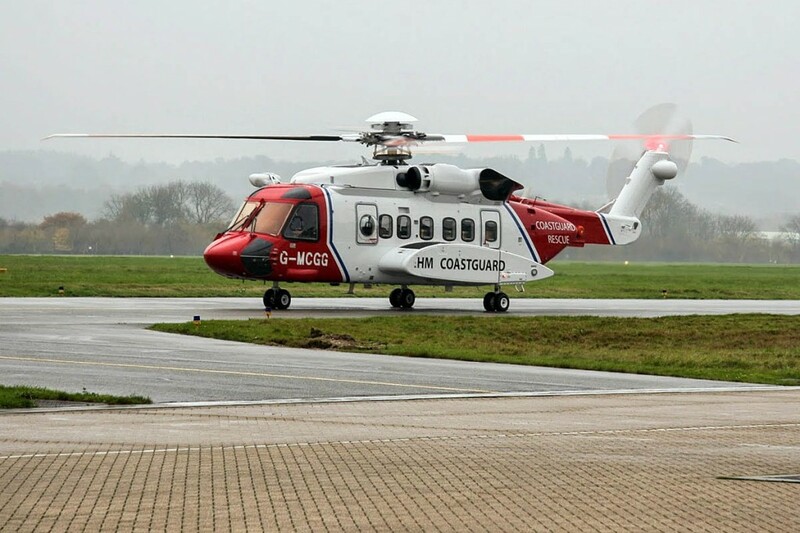 Bristow, which operates the new aircraft on behalf of the Coastguard, said one of two new Sikorsky S-92 helicopters has been delivered to Prestwick Airport in Ayrshire. The civilian crews will take over from those at nearby HMS Gannet, the UK’s busiest search and rescue helicopter base, in January. The Royal Navy crews frequently take part in mountain rescues in the West of Scotland and north-west England, flying more missions annually than any other search and rescue base. Bristow crews have already taken over from the former RAF Lossiemouth crews with aircraft based at Inverness. Bristow Helicopters, a subsidiary of a US company, said: “The aircraft in red and white HM Coastguard livery are set to become a familiar sight in the skies. They are equipped with the latest search and rescue technology including night vision, mission management and increased on-board medical capabilities. Samantha Willenbacher, director of UK search and rescue at Bristow Helicopters, said: “The arrival of the S-92 at its new home in Prestwick is an exciting milestone for us as we prepare to begin operations in January. “The crews all feel privileged to be delivering this vital public service and are eager to get started. “The training programme which we will be working through over the next couple of months is an essential part of preparations. It will involve night-time missions and some short periods of high activity levels. We will make every effort to minimise the disturbance to the local community and thank them in advance for their patience and support as we deliver this lifesaving service. Jules Matteoni, Glasgow Prestwick Airport aviation services, fire and security director, said: “The new HM Coastguard helicopter search and rescue facility is a great new asset which we are pleased to welcome to Glasgow Prestwick Airport and to Scotland. The SAR helicopter base at Prestwick Airport is one of 10 bases from which the civilian search and rescue service will operate, five of which are already live. Flights started in April 2015 from bases at Humberside and Inverness Airports, in July at Caernarfon Airport, at Lydd in August and at St Athan in October. A further base at Newquay Airport will go live alongside Prestwick in January 2016. The final three bases are existing HM Coastguard facilities at Lee-on-Solent, Stornoway and Sumburgh, which will come under the new contract in 2017. Bristow Helicopters already operates the SAR helicopter service from Sumburgh and Stornoway. As a hillwalker in Scotland I would be very interested to learn how many experienced RN & RAF crews have joined Bristow. Are the new crews only from the oil industry contacts?